It&apos;s almost time for my favorite Hendricks County event. Our community sure throws some great shindigs through the year, but in my opinion, none compare to the pure awesomeness that is the Christmas season kickoff in Danville. Forget driving to Indy for their tree lighting. 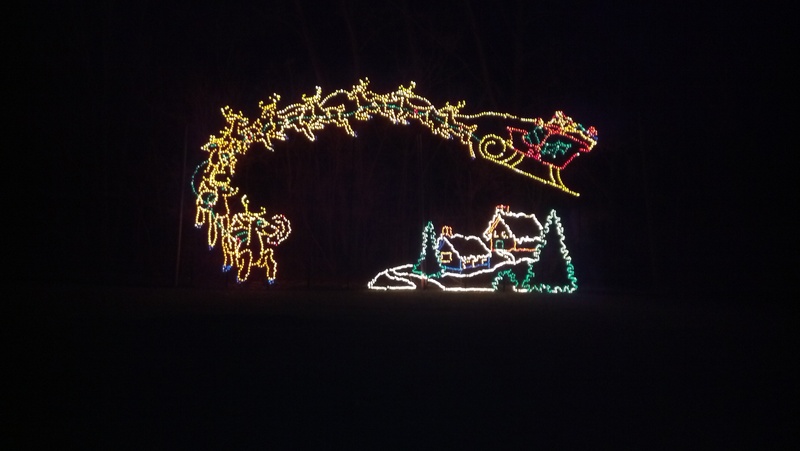 Head out to Danville for a free night full of family memories with less crowds. My family started this tradition my daughter&apos;s first Christmas and have attended ever since. A Live Nativity Scene – As in recent years, a nativity area with live animals will be stationed at the corner of Washington and Marion streets. Train Rides – This free activity will occur on Jefferson Street. Childrens’ Activities – A juggler, face painters and balloon artists will be stationed at various locations inside businesses around the Square. Children also will be able to fill a complimentary stocking with candy and prizes as they visit the various merchants around the Square. Strolling Carolers – A group of jolly singers will provide a bit of ambiance harkening back to traditional Christmas celebrations. Roaming Holiday Characters – Santa, Mrs. Claus, Rudolph, a snowman and Christmas tree will stroll around the square greeting visitors. Holiday Melodrama – The Danville High School Drama Department will perform at 3 and 5 p.m. inside the Royal Theater. Tree Lighting –Santa, Mrs. Claus and one lucky child will flip the switch to light up the Downtown Square to end the evening. After all your fun on the Square, load the family up in the van, turn up the heat and head to Ellis Park for the opening of Winterland and the perfect end to your night. Winterland is an annual event hosted by the Danville Chamber of Commerce along with Danville Parks & Recreation. Ellis Park is transformed as a drive-through Christmas light spectacular. If you can&apos;t get down there on Nov. 29, no worries. The show runs 6-9 p.m., Sundays-Thursdays and 6-10 p.m., Fridays and Saturdays through Christmas Eve. New this year is a 30-foot lighted Christmas tree synchronized to music. Cost is $8 per car, but discounted tickets can be found at several businesses around town as well as on the Danville Chamber of Commerce website. This is also a great spot to take the kids to see Santa. The Danville High School Business Professionals of America will host Santa at the train station in the park every Friday, Saturday and Sunday. 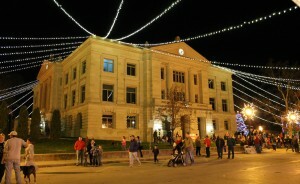 Start your holidays out right with a trip to Danville on Nov. 29! It&apos;s sure to be a magical night, and one the family will remember for years to come. Be sure to take lots of photos. You won&apos;t want to forget these memories. I hope to see you there! Looking for other fun holiday outings? 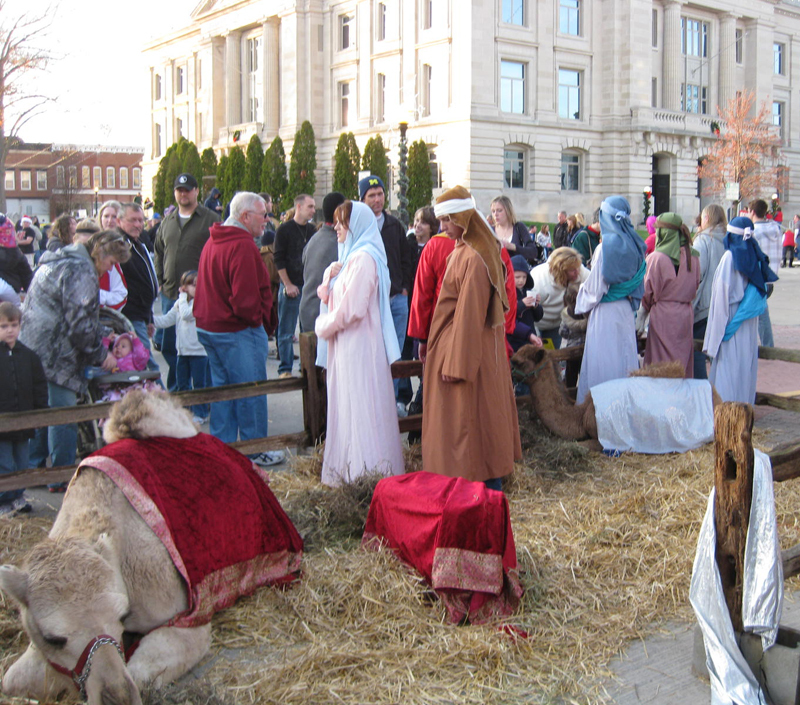 Remember to check out Visit Hendricks County for more information on all of the top holiday events in Hendricks County!